A quick post: indigo leaf prints | carpe diem! I am trying to figure out how ancient peoples of different cultures stumbled on indigo plants. 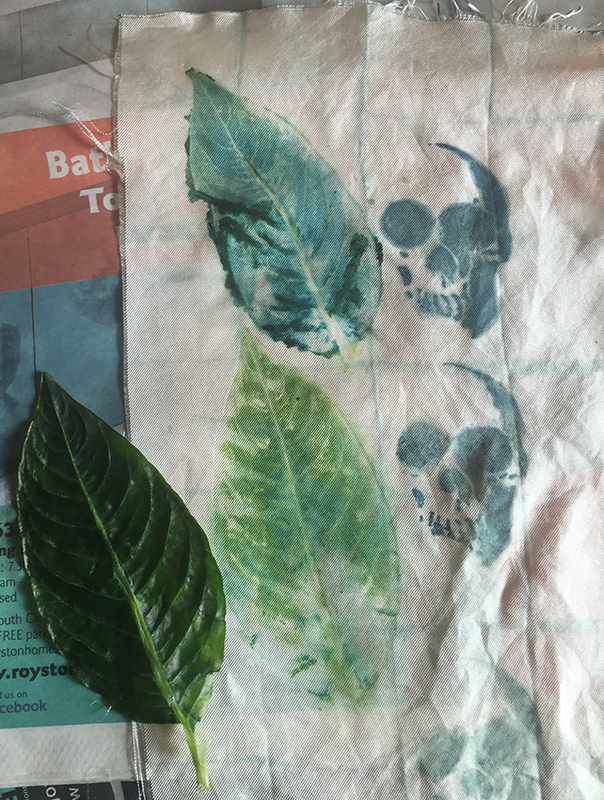 In your photo of rubbing a woad leaf on cloth (https://colddrake.files.wordpress.com/2015/06/indigoleafprintsilk3.jpg), would the leaf prints turn bluish and so suggest potential for blue dying? Paul, I think so. In my somewhat limited experience *if the leaves contain indigo* the green begins to darken to bluish-green within minutes, but full indigo blue may not appear for hours or even days. It’s worth remembering that the leaves do not contain indigo until well into the growing season and lose it as the weather cools. A friend reported last year that leaves on plants growing indoors in late October did not dye blue. This makes some sense if the indigo precursor present in the plants is a natural pesticide, as I’ve seen suggested. I can’t find any research into this, but as a private individual I have limited access to academic journals. Thank you very much. Your observation suggests that ancient people did not explore randomly but went further with those plants that offered a bluish stain. In my column today, I wrote (in Chinese) “… I found Sarahw on the internet. She introduced a method to make leaf prints of Japanese indigo by placing a fresh leaf on a fabric, covering it with a cellophane, and hammering it with a spoon over the cellophane. 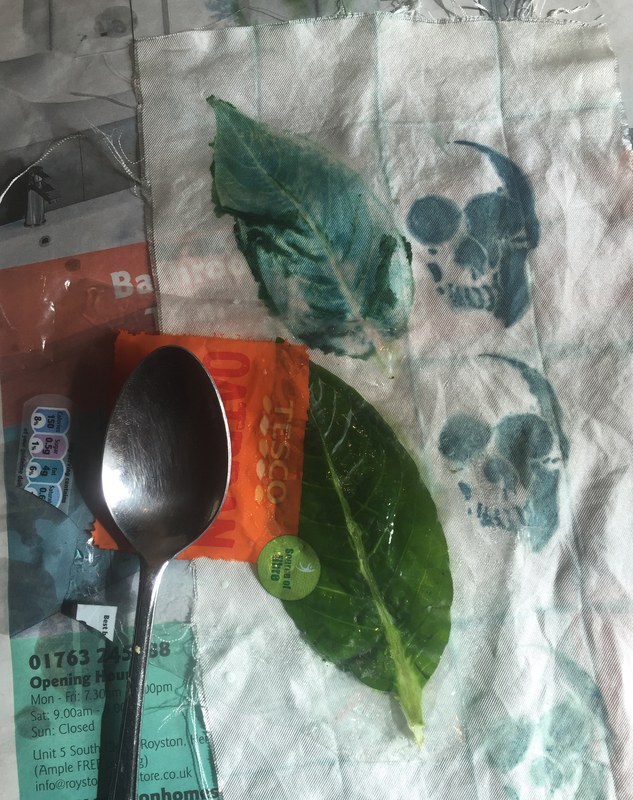 The fresh print would be green but slowly turns bluish when dried.She also dropped a wood block into an indigo vat. The wet block appeared green when withdrawn from the vat, and turned blue when dried and oxidized. The newspaper used three of your photos and acknowledged the photos at the upper left corner to Sarahw.